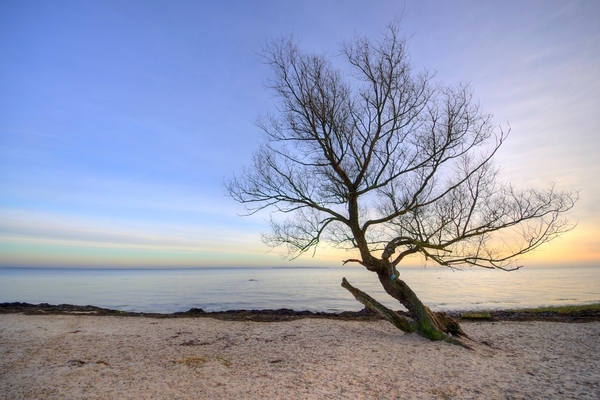 Lonely tree with a swing on a beach in front of colourful sky. The image is HDR. It is Öresund between Denmark and Sweden.